BISMARCK, N.D. (Legal Newsline) -- The North Dakota Supreme Court ruled last week that the state owes a group of locked-out sugar workers unemployment benefits. The claimants in the case, bargaining unit employees of American Crystal Sugar's North Dakota facilities, appealed a judgment by the Traill County District Court affirming Job Service North Dakota's decision denying them unemployment benefits. According to its website, Job Service North Dakota "delivers specific services to targeted workforce sectors, administers the state and federal unemployment insurance program, and provides labor market information for community leaders." In a 3-2 decision filed Tuesday, the Court said because the plain language of N.D.C.C. § 52-06-02(4) only disqualifies claimants from unemployment compensation for employee initiated work stoppages due to a labor dispute, it does not apply to the locked-out workers. During the summer of 2011, various local unions and American Crystal Sugar were engaged in contract negotiations for a successor agreement. The unions and ACS were unable to reach a settlement, and on July 28, 2011 ACS made its final contract offer. The unions rejected the offer. On Aug. 1, 2011, ACS locked out its bargaining unit employees and began using replacement workers. The locked-out workers then applied for unemployment compensation. At that time, Job Service determined the claimants were disqualified from benefits because they were "unemployed due to a labor dispute" under N.D.C.C. § 52-06-02(4), which precludes unemployment compensation if "the individual's unemployment is due to a strike, sympathy strike, or a claimant's work stoppage dispute of any kind which exists because of a labor dispute at the factory, establishment or other premises...."
The locked-out workers appealed the decision to an appeals referee. The referee affirmed the benefit denial. The claimants then requested Job Service review under N.D.C.C. § 52-06-19, and the request was denied. At that time, the workers petitioned the district court for review of the benefit denial. The district court affirmed, concluding the statutory language clearly and unambiguously shows the claimants "are not entitled to unemployment benefits because of their unemployment due to a lockout." The state's high court disagreed. "We conclude 'a claimant's work stoppage dispute of any kind' refers exclusively to employee initiated work stoppages, and because a lockout is not an employee-initiated work stoppage, N.D.C.C. § 52-06-02(4)'s plain language does not disqualify Claimants from benefits," Justice Carol Ronning Kapsner wrote for the majority. Justices Mary Muehlen Maring and Daniel Crothers concurred. The majority, in its decision, noted that the legislative history of N.D.C.C. § 52-06-02(4) supports its interpretation that "a claimant's work stoppage dispute of any kind" does not include an employer-initiated lockout. The majority reversed the district court's judgment affirming Job Service's benefit denial and remanded the case to Job Service. 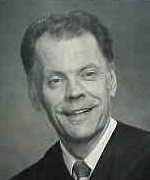 Chief Justice Gerald VandeWalle and Justice Dale Sandstrom dissented. VandeWalle, in his dissent, argued that the section of state code is "ambiguous" and that the Legislature needs to resolve the issue.